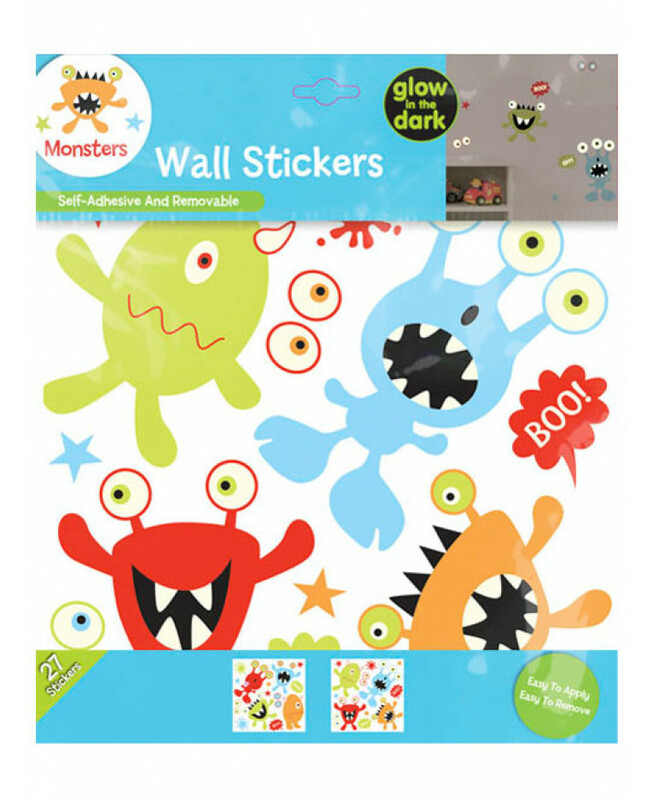 Your little monsters will love these Glow in the Dark Monster Wall Stickers. 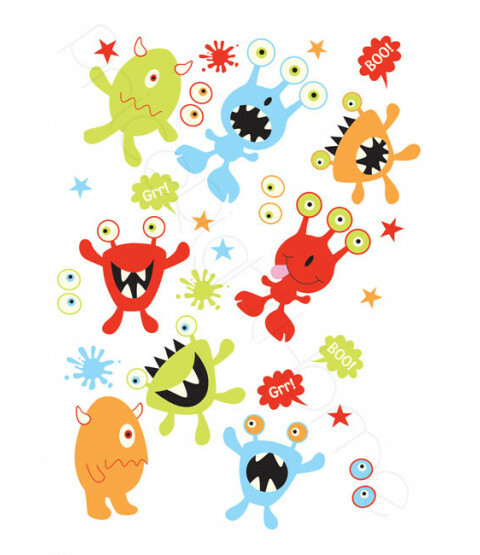 Perfect for making a feature wall or border in any room, these stickers are an easy and inexpensive way to create a theme. They can also be applied to furniture and doors to help tie the theme into the whole room. 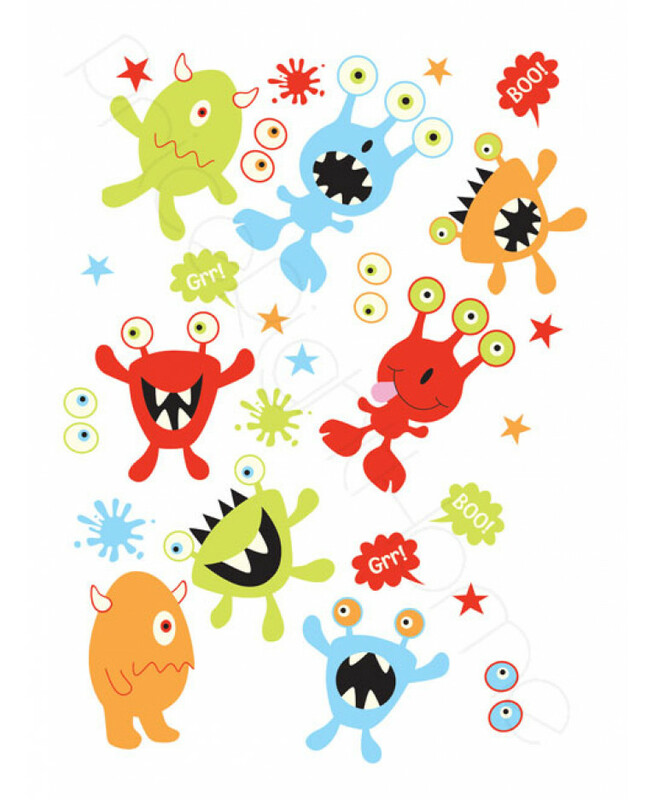 The clever self-adhesive backing makes these stickers incredibly easy to apply and removable with no need for glue or paste.